We are patient-centered and focused on providing you with the highest level of dental care you need to have a healthy smile for a lifetime. You will find our staff to be warm, knowledgeable, and committed to customizing your dental care plan to fit your individual needs. Do you want to save 10% on your next dental appointment? Learn More. Do you have extreme dental anxiety? We can help! Dr. Adams will focus on your dental treatment while a Board-Certified Anesthesiologist is at your side for your entire visit. Ask us how we can make your visit more comfortable. “Thank you Dr. Adams, for offering your patients the option of IV sedation. Dr. Stone was by my side so you were able to focus on the procedure. He contacted me pre- and post-surgery, and eased so much of my anxiety. I truly slept like a dream the entire time.” ~Beth W.
Reynolds Mountain Dentistry is an Asheville dentist that offers a wide range of the latest dental services available. We are a general dental practice with a special focus on Dental Implant, Restorative and Cosmetic dentistry. 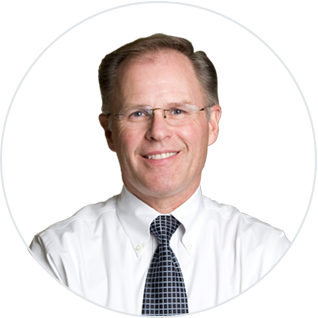 Dr. Adams has been in private practice in Asheville, NC since 1983. Our experienced and friendly team is passionate about dentistry and attends numerous continuing education classes on a yearly basis to provide you with the latest quality care available. Find out more about why Reynolds Mountain Dentistry is the best choice for your dental care needs. Just a quick note to express my complete satisfaction with my last dental procedure using your technique of P.R.P. and P.R.F. therapy. Compared to the previous similar dental procedures, my healing process was a 4-fold (400%) improvement. I hardily recommend all patients to partake of this method. We have had the distinct pleasure of treating your patient of many years Mrs. Marion Stoneman! She lives in Gainesville now. I am writing to give you highest commendations about the extraordinary quality of your dental treatment of your patients as evidenced by the truly beautiful and excellent care in her mouth! Much future success to you. I am very, very happy with the mini implants and highly recommend them, especially if your dentist tells you that he/she recommends them for you. I get so many compliments on my beautiful smile!!! When I walked into your office for my first visit, I didn't realize that the quality of my life was going to improve to the extent it has... It's been about six months since all the work was completed and I couldn't be more pleased with the result. I've got my smile back and have no difficulty chewing anything. I want to take this opportunity to thank you and your staff for making the experience a positive one. Due to terrible experiences at previous dentists, I had neglected to visit a dentist for more years than I care to admit. Dr. Adams didn't give me a hard time about it. We devised an action plan to get me back into shape and Dr. Adams and his staff took good care of me. Dr. Adams helped me conquer my fear of the dentist, and I didn't think that could ever happen. I have referred four people to Dr. Adams and they are now loyal customers of his. My apologies, however, to their previous dentists. Dr. Adams: An excellent, caring and professional doing state of the art dentistry. Dental Assistants: Dedicated to making your procedure efficient and as painless as possible. Office Staff: Making sure all business matters, appointments, etc, are handled competently. Location: Superb facilities, friendly people, and did I mention the view! Results: First class positive outcome... to brag about! It is with the greatest respect and awe for what you do that I offer my heartfelt thanks for the help you gave me at a time when I was very ill and in excruciating pain and I needed you most. I have found, within the last 10 years, that a dentist who will help a new patient, at a moment's notice, is a most elusive animal! I was astounded as well as deeply relieved to find that without hesitation, you and your staff welcomed me into your most capable care. With that act of kindness you have renewed my faith in the oral/dental field of medicine and it's ability to care for the patient without first thinking of fiscal/monetary gain or compensation. Again, please accept my deepest thanks and gratitude to you all! The work you did for an elderly person, me, over these past days was superb. I want you to know that your care and skills were without peer. Thank you, Doctor Steve, and each of the fine staff who attended me over the past few days. All of you have treated me with dignity, care and concern over many years. You deserve all accolades, more than I can express. So, thank you again for making me whole. "You have restored my trust in dental care. You and your staff have been so understanding and caring." "I thought I had a good dentist before, and didn't know that there was better care until I experienced it." "Thank you for going the extra mile to fix my dentures. So far they are doing fine with the new reline."